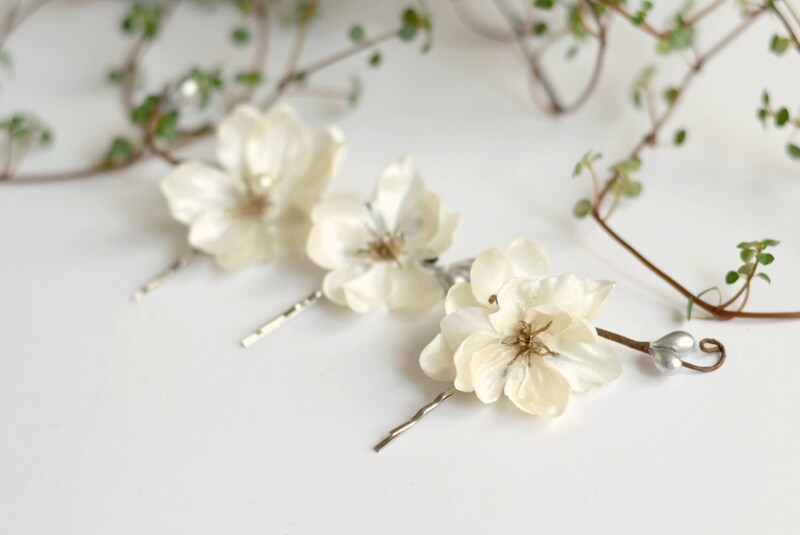 These blossoms are a great touch for any bridal hairstyle. 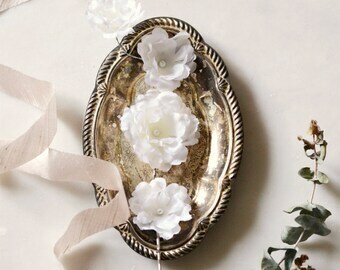 They feature ivory satin florals with silver pip vines. -- measures about 1 1/2"